This recipe was a complete accident. I was making Cookie Dough Topped Brownies and feeling over-confident in my memory of the brownie ingredients. When I got past the step of stirring in sugar, I realized something was wrong. The batter was much thicker than it should be. Until I thought about what was in my freezer. Did you know that buttercream stores very well in the freezer? How about some White Chocolate Buttercream? Oh that is right, one rich chocolate brownie topped with not one, but two incredible toppings. Thanks to a small mistake and leftovers from baking, I made Brownies with White Chocolate Buttercream and Mocha Ganache, another delicious dessert for our Thanksgiving with Friends. Make these. No mistakes necessary. What would you do with extra brownie? wow that is so creative and definitely doesn’t look like a mistake to me! I’d bring extras to work! Looks amazing – if I had leftover brownies (ha! ), I’d probably cut them up small and dip them in chocolate like truffles. I’ve been wanting to do that for a while now. But maybe I’d top them with your white chocolate buttercream first. Maybe. This has to be one of the most delicious looking mistakes ever. Now I have to add this to my list of your recipes to try. Slow down, I can’t keep up! that is how i feel lately, i need a vacation from work just to catch up on all of the recipes i want to try! You’re right.. extra is better. These look divine. Ahh I love this post. I will have to try this. LOL it always makes a dessert sound more decadent, doesn’t it? Mistakes like this are the best! I love how pretty they turned out too with the dark and white layers. Plus, the flavor combo sounds like it would be excellent. My favorite mistake was adding one too many eggs to the base of a layered bar cookie so that I ended up turning it into caramel rum cake! That was so cool. Anything with white chocolate is good with me! These look delicious! 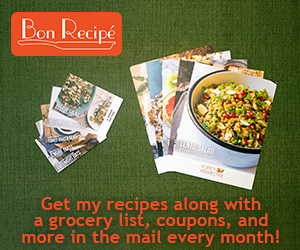 I printed it out to put in my recipes I have to try pile. I’m so glad you didn’t throw it all away. These look like a fab addition to any table. I can imagine if you presented these to friends they would be ecstatic! Sometimes the best things truly happen by accident. In fact, I believe that I would call something like this serendipity rather than accident. Glorious. It was great hanging out with you on Saturday! We definitely need to do something again soon! yes we do need to hang out again!! I developed a mild obsession with your white chocolate buttercream frosting after I made your red velvet sandwich cookies on Saturday. I could eat it by the spoonful! (and did). i dont mind making mistakes like this:) this looks awesome! i love it. Clearly Id eat extra brownies! I always end up making boo-boos when Im baking, so adding more of other things is like second nature! These look great. Good to have you back home! wow these look amazing. I definitely need to get more adventurous with my brownie making. I say this is a pretty fantastic “accident”! What a decadent combination of delicious flavors :) If there were ever to be extra brownies in our kitchen, I might crumble them and toss them into some homemade ice cream during the last few minutes of churning. MMmmmm. I would probably find something peanut buttery to do with extra brownies!